Argan oil has been the beautifying time-honored secret of Morocco. It is loaded with vitamins and antioxidants -the oil not only repairs, strengthens, and moisturizes hair, but it also tames frizz and adds extra shine. 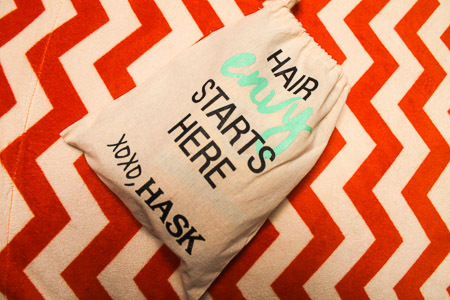 Hask creates fabulous bags enclosed with all the essentials, I loved their argan oil line, though I loved the results even more. Since I have been making drastic changes to my hair, I needed to do it the right way. Super dark hair to light locks requires some special attention. Following a gradual and slow color process to bleach to the lightest tone without destroying my hair. In addition to respecting your hair, as you gradually lighten, a rich conditioning regime is key. 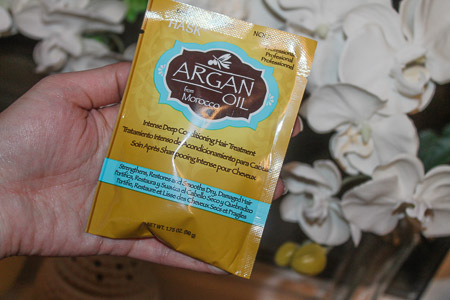 The Hask argan oil kit is an amazing option for deep moisture and if argan oil isn't your favorite, they offer a great macedemia nut oil variation, as well as an array of other fine extract oil products. Shop a some of the products below, or the full kits at your local drug, grocery, beauty store. 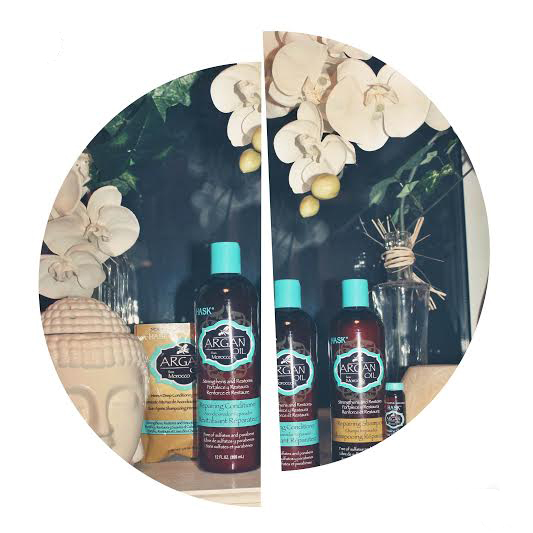 The shampoo and conditioner are both free of sulfates, parabens, phthalates, gluten, drying alcohol, and artificial colors. All the products are super strengthening, hydrating, and great restoration properties against dry, damaged, or chemically treated or over processed hair. 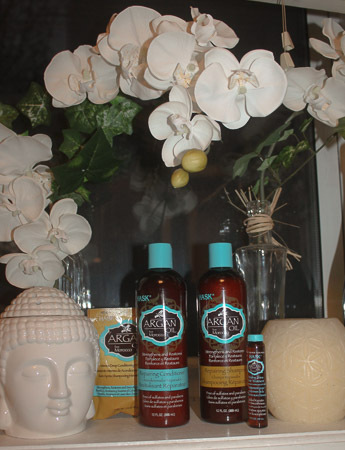 The argan oil deep conditioner are also free of harsh chemicals and is a deeply strengthening and hydrating treatment that restores and smoothes even the driest, most damaged, chemically processed hair. 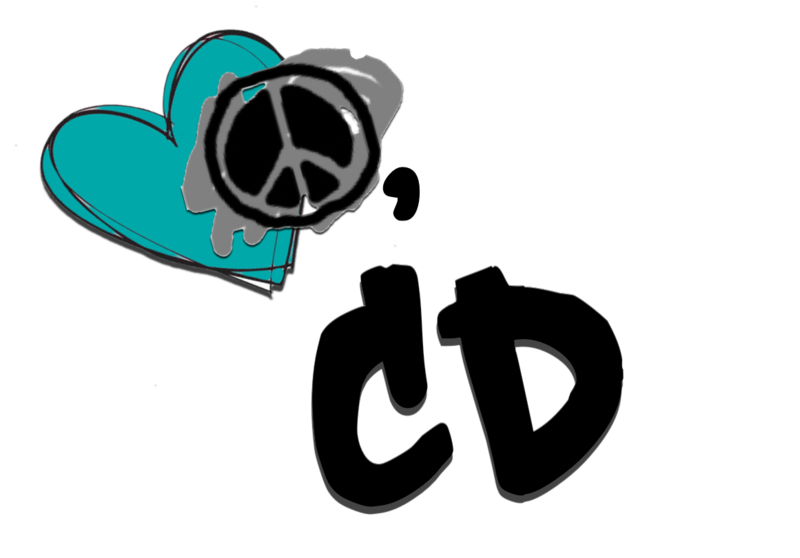 The rich creme has high absorbing properties that can penetrate even the most damaged split ends. 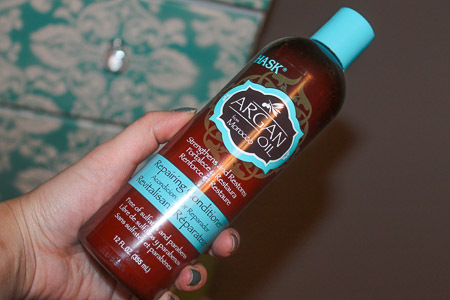 The healing argan oil shine treatment is also free of all chemicals, but is a lightweight, alcohol-free oil that instantly rescues hair and eliminates frizz while leaving behind the perfect shine without an oily residue.